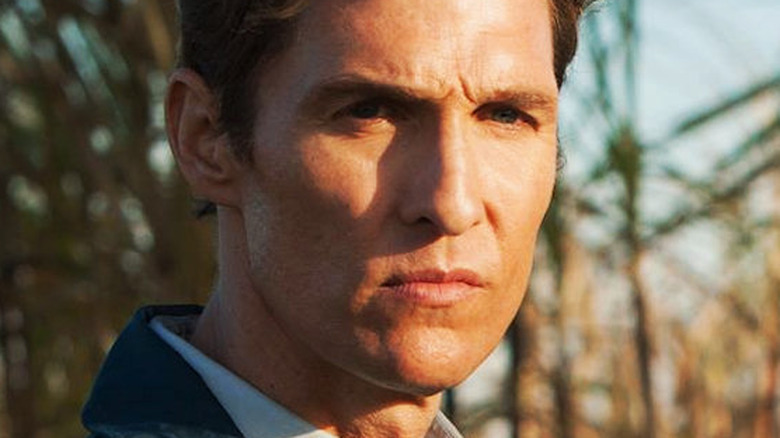 It's a go at HBO for the third season of True Detective. The Hollywood Reporter confirms that the network has officially given the green-light to another season of the crime drama anthology. Nic Pizzolatto, who created True Detective, is set to pen the upcoming season, also serving as showrunner and director alongside new-to-the-franchise Jeremy Sauliner. Four-time Emmy Award winner and 24-time Emmy nominee David Milch has writing credits on one episode, the fourth of an undisclosed number of installments. Pizzolatto, Saulnier, Scott Stephens, season one stars Woody Harrelson and Matthew McConaughey, and original director Cary Joji Fukunaga are on board to executive produce. Additional executive producing duties will be doled out to Steve Golin, Bard Dorros, and Richard Brown. Season three is set to focus on a harrowing crime committed in the heart of the Ozarks, the highland region of the central U.S. that primarily stretches across Arkansas, Missouri, and Oklahoma. The mystery grows more complex as the decades pass, and the story will play out over three separate time periods. Mahershala Ali, who won the Best Actor Oscar for his stunning work in Moonlight, will topline the season as state police detective Wayne Hays, who calls Northwest Akransas his home. There's currently no word on who else will star, or if any previous cast members will return to play different characters. Pizzolatto said in a statement, "I'm tremendously thrilled to be working with artists at the level of Mahershala and Jeremy. I hope the material can do justice to their talents, and we're all very excited to tell this story." News of the third season getting the stamp of approval to proceed from HBO is a pivotal moment, as the network refused to officially confirm that it was moving forward with more True Detective until they found a helmer who could collaborate with Pizzolatto on the series. True Detective was a smash hit during its freshman run, but fizzled out and failed to impress critics in his polarizing second season that starred Colin Farrell, Vince Vaughn, and Rachel McAdams. With Saulnier at the helm, things are on the up-and-up. HBO programming president Casey Bloys stated that the team-up between Saulnier and Pizzolatto is a perfect one: "[Pizzolatto] has written truly remarkable scripts. With his ambitious vision and Mahershala Ali and Jeremy Saulnier aboard, we are excited to embark on the next installment of True Detective." Though a premiere date for True Detective season three hasn't yet been determined, Bloys previously indicated that Pizzolatto had almost the entirety of the season already written. "I've read five scripts on the new season," Bloys told reporters earlier this year. "I'm very impressed and excited about what I've read. I don't want to give away the storyline, but I think they're really terrific." As we wait to hear more about True Detective, take a look at some of the greatest long takes in television and movie history.